When your child graduates high school, they typically have a decision to make – do they continue onto college, or do they get a job? For some, affording college is simply not an option at the moment, and so their choice is typically to start looking for a job. And while having a higher education degree can help you to earn more money in the long run, that doesn’t mean your child can’t find a decent paying job right out of high school. In fact, there are plenty of jobs that offer a decent salary, and some of them don’t require a lot of training. If your child is looking for a steady job after graduating, here are a few suggestions. Gambling is a larger industry within the United States, and someone has to help run all of those games. Casinos are always looking for gaming managers – people who help run the casino, interact with customers, and supervise the people handling the games. Gaming managers make a decent wage – the median is about $33/hr – and you don’t need a lot of training to get started. Some experience working with customers will likely help them get the job – such as at a retail store or in customer service – and it would be even better if they have some managing experience. So if there’s a casino near you, tell your kid this is a great place to look for a job. Does your kid have an interest in traveling? Are they looking for a more exciting job, one that would allow them to literally fly through the air? If the answer to either of these is “yes”, then recommend they become a commercial pilot. 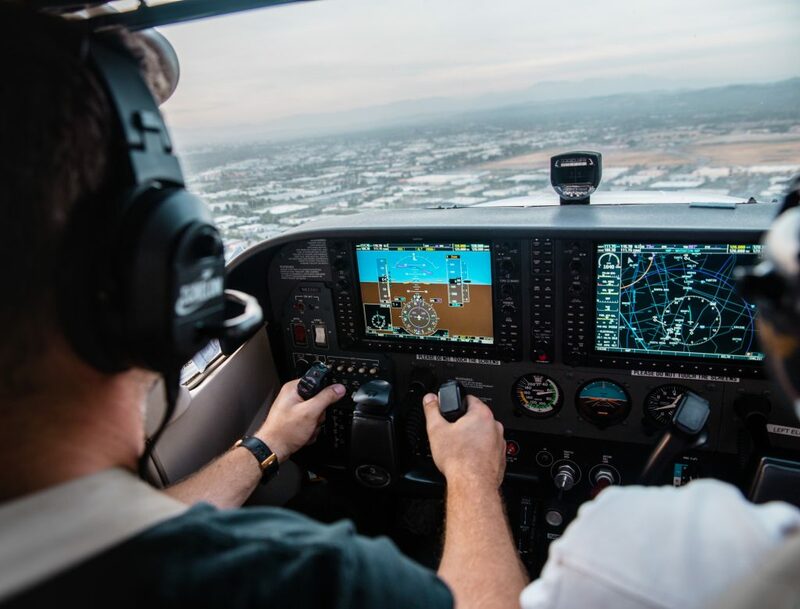 Commercial pilots typically don’t need any higher education degrees, although there is a decent amount of training involved. They’ll need to pay for flight school, and of course earn all of their certifications and licenses. But if they are able to pass these, they are set up long-term for a career that offers many benefits, not the least of which is a steady salary. Next up is a job in transportation – specifically as a truck driver. All over this country this is a need for dependable truck drivers to transport goods and other items from Point A to Point B. A first job in trucking teaches your kids how to get somewhere on time, be dependable, and allows them to earn a great salary just out of high school. Of course, your child should be ready for long hours on the road, often by themselves. They’ll also need to earn a license to drive a truck, and have a clean driving record. Trucking jobs are on the rise, making now a great time for your child to get involved. The Postal Service is a vital function in the day to day operations of the United States. People in every corner of the country rely on getting their mail on time, and this isn’t possible without responsible mail carriers and clerks. Luckily, not only does this job pay reasonably well, but it doesn’t require an advanced degree. Have your kid check with your local post office, and see if there are any job openings either as someone delivering the mail, or helping out customers at the post office as a clerk. often hire from within, so getting your foot in the door at a lower position will certainly help. Once you have store managing experience, you have a better shot at transferring over to another store, possibly one with better pay. Hopefully this list will help you and your child find a job that is right for them after high school. Even if you want your child to eventually go to college, having a well-paying job right out of high school will make affording it a lot easier. The jobs mentioned above are a great place to start your search, and find something that not only fits their skill set, but also provides them with a decent wage.